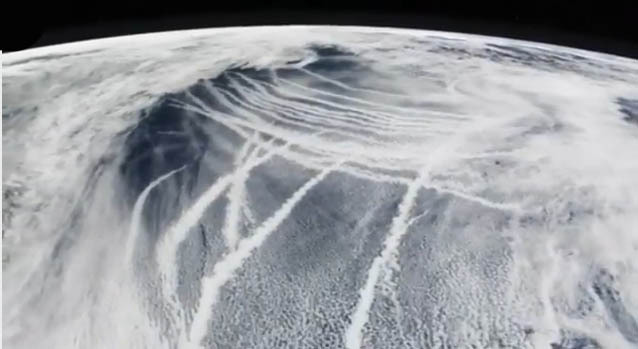 Of all the ongoing assaults against the American people, none is so pernicious and surreptitious, so pervasive and profound, so offensive and outrageous, so deliberate and yet unnecessary as the geo-engineering and weather modification program known CHEMTRAILS. Truly, the relentless chemtrailing of the skies of the USA represents a crime against the populace like no other. The time has come for this crime against humanity to be prosecuted. Actually, it is long overdue for this long running and premeditated criminal conspiracy to poison various national populations of the world to be exposed. The cumulative repercussions of chemtrails are simply too harmful to human life, destructive to the environment and hurtful to society for them to be ignored. The patently illegal process by which chemtrails have been foisted on the continent can no longer go unaddressed. When any government unlawfully arrogates power unto itself to poison the air at will, they effectively dissolve the bonds of any covenant that might have existed between them and the citizenry. In other words the secret legislation of laws that harm the citizenry of any nation on Earth represents a “gross violation of the public trust” as well as a “flagrant breach of the social contract”. The following excerpt from an advocacy group declaration addressing the very same type of unlawful and injurious behavior well sums up the point. The upshot of this declaration is that the government is by no means of the law. Therefore, it must be held accountable for its criminal actions just as the citizens can be prosecuted for committing chemical assault. It is commonly understood that legitimate laws are immutable and inviolable. Natural law and common law have stood the test of time … eons in fact. International law and constitutional law, when legislated in the best interest of the respective global and national constituencies, likewise sit on a sound legal foundation that is often steeped in centuries of historical precedent. Within the context of each of these legal frameworks, the covert and unlawful practice of chemtrailing the skies of the world would be considered felonious chemical assault of the first degree. Especially because the vast majority of people who are deeply impacted are also completely unaware of the existence of and real purpose behind chemtrails, they constitute an egregious crime against humanity. Satellite photo of the Northeast just prior to Superstorm Sandy (aka Frankenstorm Sandy) captures the enormity and intensity of chemtrailing operations. How are they allowed to get away with such perversely criminal activity in broad daylight? The governments of the world which permit the daily chemical assault of its citizens are first and foremost responsible for these ongoing crimes. The national airspace of each and every country across the planet is very closely monitored. Getting huge airliners aloft in order to heavily spray the skies is not only very expensive, it must require the foreknowledge and explicit approval of an assortment of federal and state agencies. Therefore, there is a whole range of governmental institutions which must directly participate in the decision-making process. As a matter of fact, because of the many new laws concerning the control of airspace in the post 9/11 era, both Homeland Security and the Patriot Act have made it even more difficult for any and all flights over the nation to meet very specific and stringent criteria. In view of these very strict and onerous protocols necessary for fight approval, it is all the more obvious that there are many in government who are directly participating in this relentless chemical assault. That is essentially how they have gotten away with the deleterious practice for so long. The have made all of their decisions without any public involvement whatsoever. They have preplanned and engineered this ongoing scenario so that there is no single agency or decision-maker who is in charge of these covert programs. Furthermore, they intractably continue to deny their very existence, calling them normal contrail activity instead. By staying close to this script there is simply no target for the American people to identify as the real culprit(s). 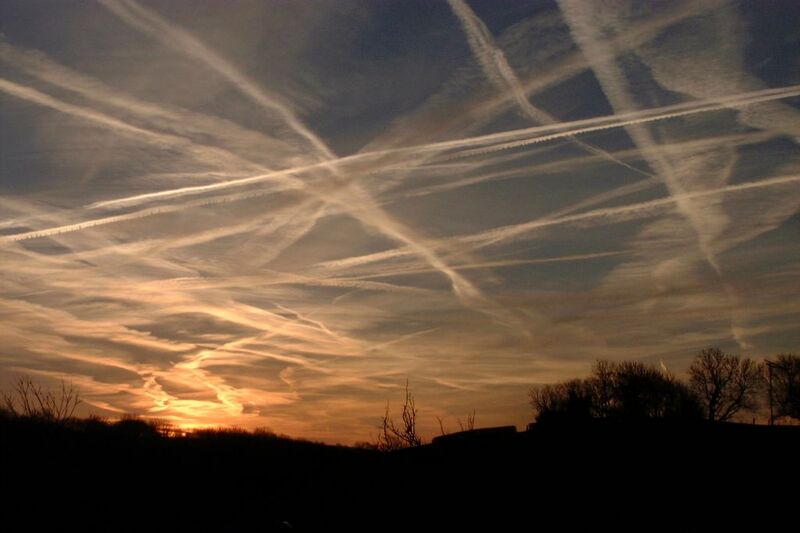 When those in government who are responsible for the regulation of clean skies willfully participate in a complex conspiracy to deceive the citizenry to this degree, it is clear that something quite nefarious is going on. When they do trot out onto the stage the David Keith’s and Ken Caldiera’s of the world to justify what ever it is they claim they’re not even doing, things get even hazier. The following article lays bare the extent to which they have gone to cover up what may be the greatest COVERUP in recent history. Not only does this COVERUP cover up the skies of the world, it also does so at the expense of many physically compromised people. The chemical assault that is associated with this government run program has unquestionably contributed to the general malaise of the people of the world. Because of the many chemicals and other noxious constituents found in a typical chemtrail cocktail, billions are now regularly exposed to a dizzying array of known toxins and other air contaminants. As the chemtrails are ejected in the form of aerosols from the aerosolizing equipment which these airliners are fitted with, it is demonstrated that this entire program has been implemented with the precision and purpose of a highly calculated military operation. The only difference is that we are in peacetime, so who is the enemy if not the American people themselves. The following article very clearly delineates the many health implications, as well as potential medical complications, which have been directly caused by this highly detrimental government-sponsored program. It also presents many factual details about chemtrails which illustrates an intention far beyond the conjectured weather modification. In this regard particularly, every American citizen ought to be demanding an immediate termination of chemtrailing operations wherever they are conducted in North America. “Government owes its existence to the people. Its primary purpose is to protect and safeguard the citizenry of the nation. It also exists to ensure the welfare of the populace, as well as to sustain an order in which all may flourish and pursue their goals. This social contract is very much a two-way street in which the governed promise to carry out their civic duties while the government fulfills the myriad responsibilities of statehood. “What are some of the basic obligations and functions, which all governments are held to and expected to perform, within this contract? They include a good faith commitment to: (i) protect the life, well-being and livelihood of each and every citizen, (ii) maintain a reasonably safe and secure environment in which to live, work and play and (iii) guarantee access to products and services which are not inherently dangerous, harmful or injurious to the citizenry who relies on government to regulate them. Certainly, we state the ideal here recognizing that governments everywhere stray very far from these standards. However…. “It is now clear that this social contract and sacred trust have been flagrantly violated in the most profound and fundamental ways by the US Federal Government. Getting back to basics, man requires food and water, clothing and shelter to live a reasonably healthy life. 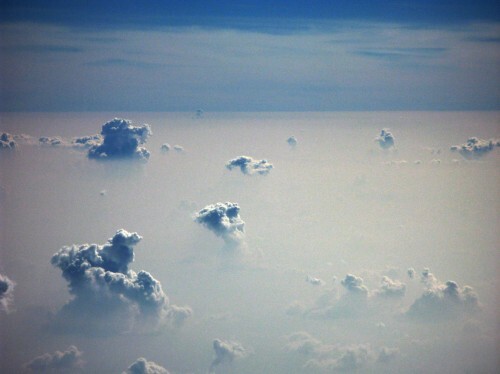 However, just as important is the requirement of clean air. In the absence of clean air, the quality of life will always deteriorate. Toxify the air on a regular basis and you create a conducive environment for all kinds of disease and illness, sickness and imbalance to appear throughout society. Clearly, the more compromised an individual’s immune system is, the more susceptible to chronic illness and/or degenerative disease he or she will become. 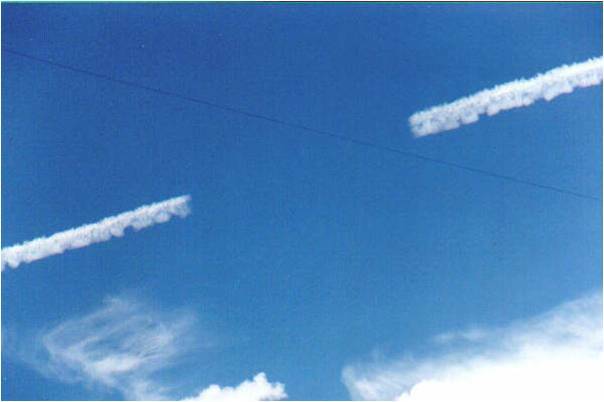 For this reason it is highly recommended for each and every person living under chemtrailed skies to read the following article concerning the many health ramifications associated with the exposure to chemtrail chemicals, toxins and contaminants. 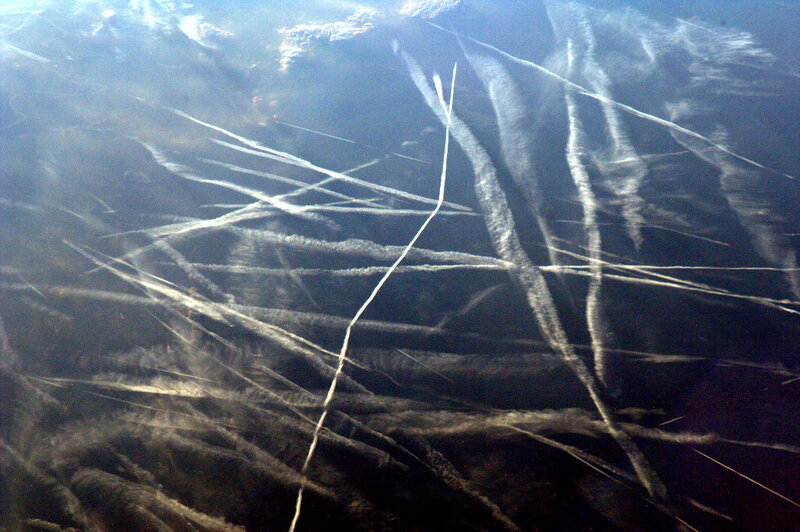 The single biggest obstacle confronting those of us who have been attempting to terminate the spraying of chemtrails in our skies is the disbelief of our fellow citizens. That’s right, it is both the ignorance (they ignore what is going on in the skies right above them) and the outright disbelief (many cling to the obvious contrail canard) of our families and friends, co-workers and neighbors, which pose the most formidable obstacles to shutting down these illicit programs. Therefore, if you are exasperated about having your tax dollars used to poison your air while they systematically take away the sunny skies, then please keep the preceding photo handy for the next Doubting Thomas you encounter. If they continue to hang their hats on the patently false “contrail explanation” after seeing this photo and many others like it, perhaps it would be best to move on to seek another ally in this urgent global cause. After all, how many times have we all seen them simply turn on and then turn off the aerosolizing equipment while their airliners turn the sky into a tic tac toe board?! Yesterday and today April 29 2015 they are spraying Sudbury Ontario Canada, much more today than yesterday, unfortunately my luggage and camera went missing in Mexico so l couldn't get pictures. Phoned mayor yesterday and secretary said he would pass it on, waiting for reply. Our so-called government has turn into nothing more that one big criminal organization! Everyone of them is guilty as hell from the person who came up with such an horrific idea to the idiots who stay quiet and cover this up. Anyone who would participate in such an act of genocide has got to be not only mentally disturbed but criminally insane! I invite of single person who is curious, doesn’t believe or just wants evidence to get yourself a Microscope. I have a microscope and for a while now I have been taking sample of various things and looking at it. One of the most disturbing things I found was in the phlem I cough up. There are Nano-Fibers, particles, bots and some stuff that I can’t identify! What truly amazes me is the fact that people have learned nothing from history! Do you think the Jews thought that they would end up being killed, tortured and used in as a rat in some sick twisted person’s lab…..I highly doubt it! If you don’t want to wake up and help put an end to this nightmare than I suggest you get yourself ready for some very serious consequences! please explain here you say your coughing up bots what are bots ? i couighed up blood after running yesterday. Society is run by the beast, the animal mind and illusions. We have to step into reality in order to face the truth and understand life fully. if you are a truth seeker, google truth contest and read the Present. Commercial size jets are used, you cant put tons of chemicals in your pocket and throw them out the window…. Did you take any pictures of the plane leaving its trail? I never saw any. Except for the normal commercial planes. Very good article. I live in the Sudbury Ontario area. When I got home last around 8:00 p.m., I looked up at the sky (like I always do), and actually glimpsed some stars, and a quarter moon (or so). But, wait, there it was .. the damn jet flying overhead, right over the house, plain as day, leaving that disgusting white line behind it. It is so depressing. Day or night, it doesn’t matter. They have their agenda to destroy our beautiful mother earth, and all living things. Breaks my heart. IS ANY PLACE IN THE WORLD THAT DO NOT HAVE CHEMTRAILS? Perhaps what he should have written is that what looks like commercial airliners are being used to spray stuff? Have seen large four jet engine aircraft with large nozzles on the end of booms, similar to refueling booms, take off and land at an international airport in Sacramento, CA, a few years back though. Many commercial planes are used for “other” purposes. In researching all this found out that this is not just about geo-engineering the world, but geo-engineering human beings as well. Because of the release of nano-particulates of all kinds, as well as nanobots, or self-replicating nano-scale machines, and non-replicating nano-devices, what is envisioned by those in the various life-sciences is the introduction of nano-medical and non-medical countermeasures. This is not something that is new, and was, in fact, being discussed in the late 1990’s by various individuals in the scientific community. Many have relegated these discussions to the realm of science fiction, but anyone who knows of how the musings of science fiction writers have become reality, and at an ever quickening pace, should consider that these technologies are NOT science fiction. To this “plan” I am 100% opposed for it is MAN pretending to be GOD! The results of creating substances at the nano-scale, both naturally occurring, and artificial, has very detrimental and destructive effects on biological lifeforms, especially on human beings, of which this website has informed of in great detail. What concerns me is the lack of complete understanding, or revelation, of what is really being attempted here, that I think will end in utter desolation and destruction on a global scale. Lastly, a man named Robert A. Frietas came up with the a term “global ecophagey” which is strikingly very similar to the terms “Global Warming” and “Climate Change”. Global ecophagey is a “scenario” wherein autonomous artificial nanotech replicators are released, either purposefully or accidentally, that consume certain molecules or atoms that exist in the “biosphere”, and cause rapid heating of the environment. In theory, an artificial self-replicator could be designed to consume, or attack, a certain molecule, say the H molecule that makes up H2O. Once it was released it would begin to consume the H molecule to create more copies of itself and release heat as a byproduct. Same could be done to remove carbon from the environment, for instance. I learned about this from the http://www.lifeboat.com website, which has lots of pertinent information that, at the time it was made available, didn’t make sense, but now it does! Did you just say that commercial airliners are spraying us? I thought only government jets were doing that. My father is a retired international airline pilot and he would have said something about this if he had spent decades spraying something, as he doesn’t trust the government at all. The pilots need not be knowledgeable of the project. This is one of the best articles I’ve ever read!! Yes Chris….believe your eyes. Many days we wake up to a sky that’s been sprayed all night and completely covered. Where I live in AZ it should be 6 months of basically non weather and azure blue sky, day in and day out. The last 3 years here MAYBE we’ll get one day a week where there’s only a little spraying. There is no reason for them to spray here unless it is to poison the Colorado River, or poison us. We always had so many birds that wintered here, it sounded like a jungle, but now we have NO birds happily singing away in the trees. Surprisingly, what is left are the assumed fragile Hummingbirds. These amazing tiny birds can fly over the Gulf of Mexico when they return to the north for summer. If they can do that, I guess they can stand the chemtrails! More than I can say for myself.